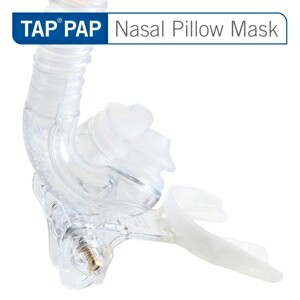 The EasyFit Nasal CPAP Mask lives up to its name in many ways. It was designed by utilizing computer analyses of facial characteristics from 50,000 individuals globally. Identifying consistencies between most of these facial profiles attributed to the development of the unique, scallop-shaped cushion. 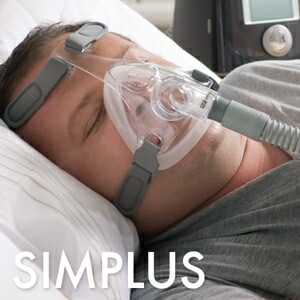 Mask cushions are available in three sizes (Small, Medium and Large) to fit and seal on a wide array of facial profiles. 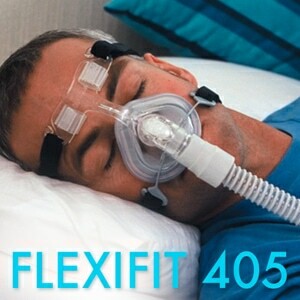 The ball-and-socket joint at the tubing connector accommodates even the most active sleeper and contributes to the mask’s overall comfort. The unique whisper-quiet EasyFit exhalation system is designed in such a way that neither the patient nor sleeping partner is disturbed by the flow of exhaled air. Based on Somnotech's Soyala nasal mask frame the EasyLife features a minimalistic design that is easy to assemble, adjust and maintain. Scallop-Shaped Nasal Cushions (in either Gel or Silicone) provide a custom fit. 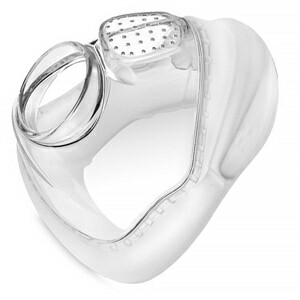 Exceptionally Quiet Operation enhanced by the exhalation ports at the end of the mask elbow, away from the patient, to help reduce noise and discomfort. Superior Seal for snug fit without painful pressure. Exceptionally Lightweight so it won't weigh you down. Ball-and-Socket Elbow provides unsurpassed freedom of movement, allowing the entire elbow to swivel, and helps prevent tubing kinks and hose tension. Easy-to-Use Weinmann Headgear features crossed back straps for increased stability and support. Two separate cross points are available for added customization. Quick release clips allow for easy removal without adjustments. Adjustable Forehead Support with wider than average forehead cushions for improved customization. 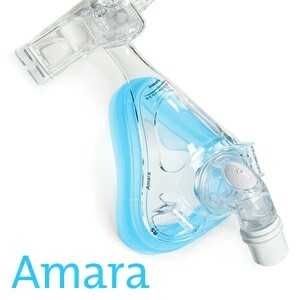 Hose Guided Exhalation Ports allows air to escape in the direction of the hose rather than at a bed partner or patient.